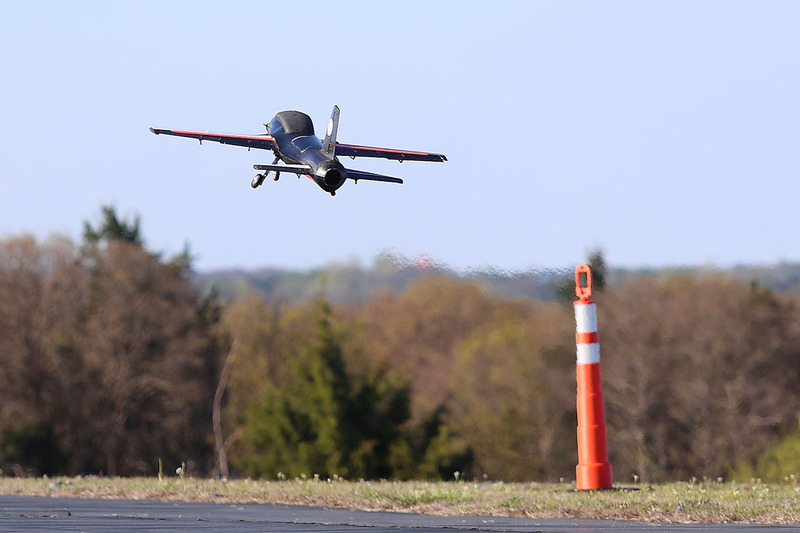 During the last weekend in April, 10 mechanical engineering seniors successfully competed in the Alpha class of Speedfest, an unmanned aerial vehicle design competition hosted by Oklahoma State University. At the beginning of the school year, the students began teaching themselves aircraft design from textbooks while simultaneously writing proposals for additional funding. After the aerodynamics and propulsion team and structures team felt more comfortable with theoretical concepts, they began designing the aircraft. UK’s Speedfest entry, SPIRIT KATS, or the System for Payload Insertion from a Radar Imperceptible Turbojet by Kentucky Air Tactical Solutions, was loosely based on a fighter jet design. Features of the aircraft included a 10 kilometer range, design considerations that allowed a low radar cross-section, the capability to individually drop two payloads, a Kingtech K-70G2 turbine engine and a fully-molded carbon composite outer skin. Andy Arena, Speedfest competition founder and director, describes this year’s contest. In their first year of participation, UK’s SPIRIT KATS team finished in third place in the Alpha class. The aircraft reached a top average speed of 147 m.p.h. as well as successfully deployed two payloads in the challenging multiple payload deployment mission. Unfortunately, the team experienced a competition ending crash just before the aircraft's third landing. Overall, the team is incredibly proud of how they performed in the competition. UK’s SPIRIT KATS were the first Alpha class team (outside of Oklahoma State) to successfully score points in the turbine powered Alpha Class, and are excited to pass on their knowledge to the next group of ME senior design students (and other university students) with the hope that they can help grow UK’s aerospace involvement. The 2018 UK SPIRIT KATS team included the following students: Jonathan Hamilton (project lead), Mariah Boyd, Matt Ebert, Cameron Farley, Jeremiah Maynard, Corbin Mosser, Gabriel Myers, William Sanders IV, Ginny Smith, and Harrison Wight. SPIRIT KATS team members would like to thank NASA Kentucky, the Department of Mechanical Engineering, the Unmanned Aerial Vehicles lab, Dr. Christoph Brehm, Dr. Martha Grady, Floyd Taylor and Dr. Suzanne Smith, for the support, space and time which allowed this project and team to succeed!